With over 20 years of industry experience, Tri-City Crating and Packing is the premier choice for high quality, custom made trade show boxes in San Diego County and beyond. We have extensive experience working with exhibitors throughout Southern California to custom design and fabricate trade show boxes that meet their needs and exceed their expectations. Our highly skilled professionals will guide you through the entire design and fabrication process, offering you expert recommendations along the way. All of our trade show boxes are digitally designed with a sophisticated program that uses formulas based on military specifications customized for crating manufacturing. 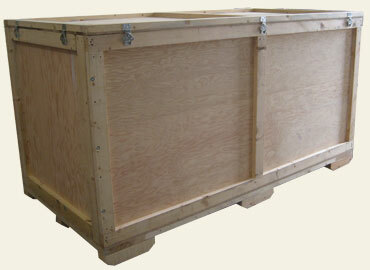 In other words, our trade show boxes are highly engineered and built to last. Our trade show boxes can also be used to display your items, so you won't need to pay for storage or wait to retrieve your boxes after the show is over. We can customize your trade show boxes with features such as casters for easy mobility, doors with hinges for convenient access, and compartments for organized, secure storage and attractive display. In addition to being durable and appealing, our trade show boxes feature comprehensive safety measures that ensure complete protection of your trade show items during transport. We also have long-standing relationships with many shipping companies and can coordinate safe, efficient shipping at very competitive rates.